In the period from the beginning of January to the end of November this year, Montenegro Airlines (MA) transported a total of 611,938 passengers in all three categories of traffic, with its fleet of up to six aircraft and 7,295 flights operated in regular and charter traffic. 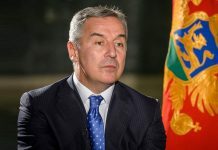 Compared to the same period of 2017, that represents an increase of 74,258 passengers, or 13.81%, with an additional plane utilised during the peak season, and 650, or 10%, more flights, notes Živko Banjević, executive director of Montenegro Airlines. In which segments was the most growth recorded? – Commercial indicators for the first eleven months of 2018 are the best in the history of the airline’s operations. The closest elevenmonth result in previous years is 19,000 passengers less than this year, and that previous total was realised with a larger fleet and an additional 2,389 flights. Here it is important to note that the average load factor during these 11 months of 2018 was 70%, which is a historical maximum that’s two per cent higher than the same period last year. We’ve also increased the number of destinations in regular and charter traffic this year, up to 30 destinations in 16 countries. Growth in all commercial indicators, coupled with the fact that there has been a significant increase in revenue, fully justifies all commercial and other business decisions we’ve made in the previous period, primarily those related to increases in the volume of traffic and the leasing of a sixth aircraft to cover the previous summer season. Montenegro’s airports also recorded an increase in the number of passengers handled in 2018 compared to last year. And in attaining this total, MA’s contribution to the total number of transported passengers in total traffic did not decrease, but rather remained at between 25% during the summer season and close to 40% during the winter season. 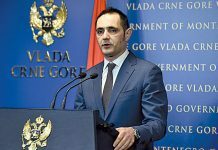 This means that we’ve also contributed to increasing the number of passengers and increasing the accessibility of Montenegro, which has impacted favourably on the tourist sector and the economy as a whole. And in this, despite growing competition, we retained our existing markets and conquered new ones, which has naturally had a positive impact on operations and operational results. Now, following a successful November during which 35,100 passengers were transported – representing 4,650 or 15% more than last November – we can say that the total number of passengers will amount to 640,000. Major consideration is being given to the airline’s privatisation and the search for a strategic partner. To which part of operations will this primarily be related to? – Our company is focused on implementation of phased project that serves to optimise the Company’s operations in a flexible way, without excluding the option of finding a strategic partner and the possibility of privatisation. You see, in principle, the period of certain disturbances in the airline industry has already started and will continue in 2019 and beyond. Growth in demand for aviation services, with a simultaneous lack of funds for operations, a professional and licensed workforce, the need to develop and modernise the entire ancillary infrastructure, and enormous increases in fuel prices and the like, will undoubtedly shake the airline industry at all levels. This will primarily impact on smaller airlines like us, so one of the options in our case is to find a stable and reliable partner at the level of a strategic partnership or by entering into the ownership structure. If such an option was taken, the focus would primarily be on the operational and commercial parts of the business. 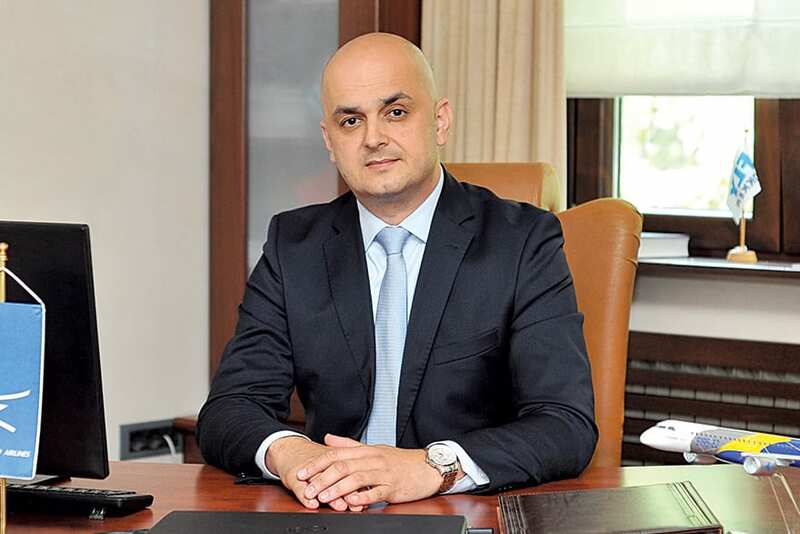 What’s most important for Montenegro is that a functional airline exists in this area and functions in the interests of Montenegro’s citizens and the entire Montenegrin economy, as well as representing a stable link with Europe and the rest of the world. The interest in purchasing MA alone shows us that potential investors also recognise that the Company is achieving significant results on the route to recovery and that this is being done in the right way, while they also recognise the importance of the airline for this area and the potential of the market. During 2018, MA has flown, or is still flying, to 30 destinations in 16 countries. Eight of those destinations are year-round: Belgrade-Serbia, Ljubljana-Slovenia, RomeItaly, Vienna-Austria, Zurich-Switzerland, Frankfurt-Germany, Paris-France and Moscow-Russia. Regular seasonal destinations include: Dusseldorf, Munich and Leipzig in Germany, Lyon in France, London in the UK, Copenhagen in Denmark, and Russia’s St. Petersburg. Our charter destinations are: Tel Aviv in Israel, Naples, Bari and Palermo in Italy, Oslo in Norway, Helsinki in Finland, Bratislava, Košice and Poprad-Tatry in Slovakia, Ostrava in Czechia, Brive-la-Gaillarde and Marseille in France, Salzburg and Linz in Austria and the Iranian capital of Tehran. 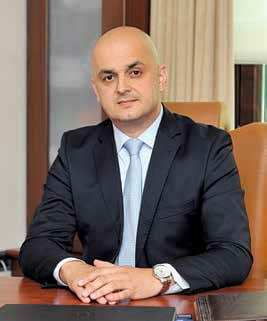 The company ‘s operations are characterised by high seasonality. During the peak season period, about 45 commercial, charter and low-budget airlines fly to Montenegro, all of which are larger than MA in financial and operational terms. That number is significantly lower during winter, and during that period the airlines that do fly to Montenegro mainly serve their global airline network for passengers from Montenegro. 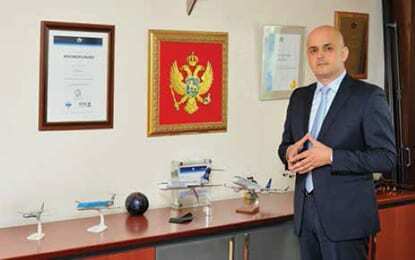 The fact is that a large number of airlines only have seasonal operations in Montenegro, which shows that winter operations don’t prove profitable. MA’s positive financial results during the summer season aren’t sufficient to cover the losses of the winter months. Revenues generated by charter flights, code-share agreements and all of MA’s routes of regular traffic cover all costs fully, with adequate earnings. However, these revenues cannot completely cover fixed and additional costs at every destination, and those are all costs that are in addition to direct operational costs. One of the key challenges for management is to use the business plan, increased revenue and optimised costs in order to minimise losses and reduce the negative impact of winter months on operations at the annual level. MA is the country’s second largest state-owned company, with total annual revenues of 70 million euros and indirect effects on tourism revenues ranging from 150-180 million euros annually. 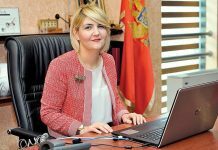 The direct effects related to the payment of gross earnings, payments for the services of Airports of Montenegro, the engagement of the domestic economy beyond tourism etc., which also remain within Montenegro, total up to 15 million euros annually.